You know you’re getting old when you prefer music you grew up listening to instead of the music currently playing on the radio. You know you’ve matured when you almost always find yourself enjoying the company of people who have substance more than just people to laugh with and share gossip with. You know you’re leaving your 20’s-hood behind when all of your friends and classmates are either getting married or are starting to raise their own family. You know that when your bills start to bloat dramatically, it’s the start of a responsibility and a future much bigger. And where could have all the years gone by? Besides having signs of wrinkles and dry skin, metabolism slowing down and blood sugar problems; I’ve also stored a number of memories and experiences to cherish, mistakes and wrong decisions to learn from, more pictures and videos of me, my family and friends collected, gained much more confidence and aggressiveness, made new friends, etc. I pretty much have had an adventurous ride of life which makes me wanting and hoping for more… Cheers to my 28 years, 8 months, and 18 days of existence, cheers to my last few years (or months rather) of 20’s-hood! This morning was an uncanny one. 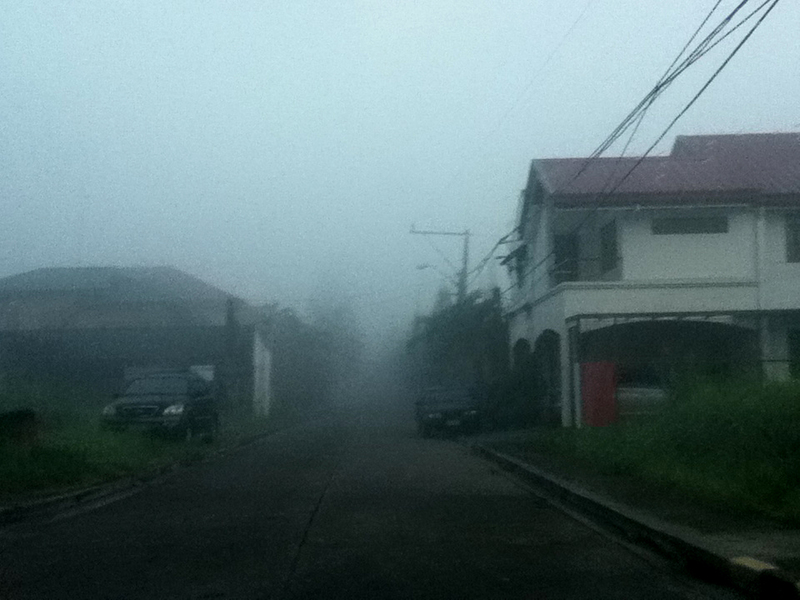 As I opened our front door, a thick fog lay before my eyes. Being the pessimist and cautious person that I am, I panicked and walked outside the street. 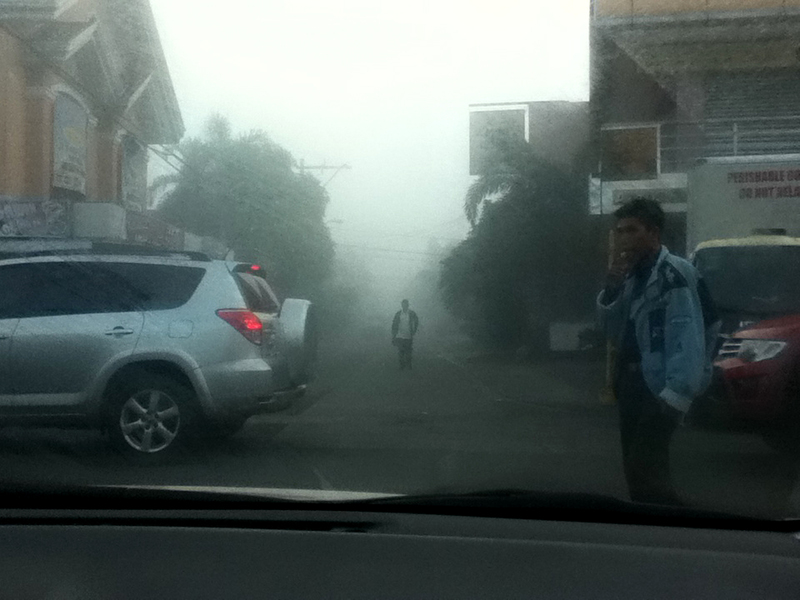 Our neighbors don’t seem to worry, not minding the low-cloud which hides the trees and the alleys. I can hear one of them say, “it’s just a fog”. 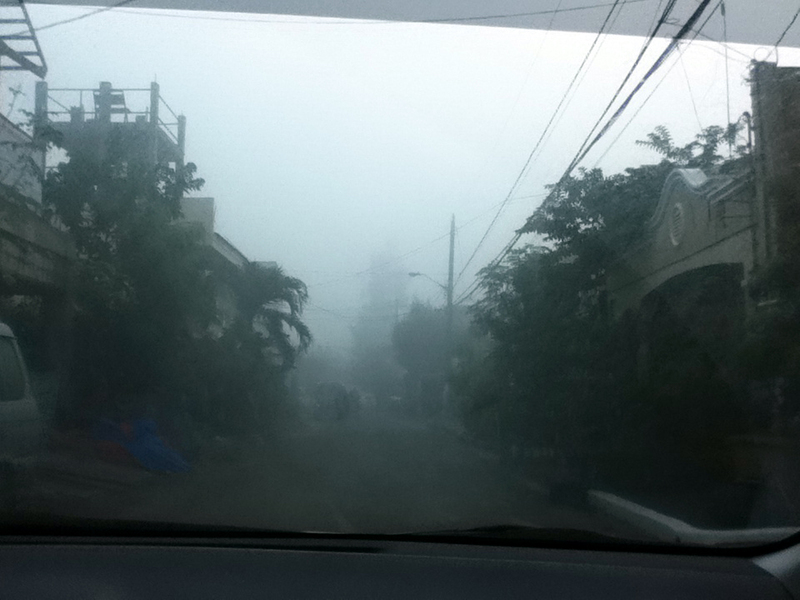 It’s been awhile since I’ve been to Tagaytay and Baguio. 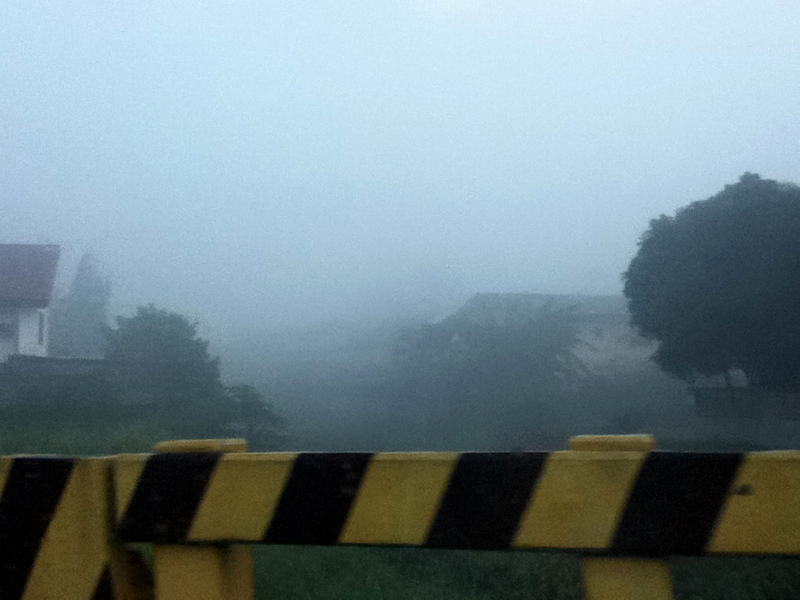 And so, I find it strange and somewhat impossible to have a thick foggy morning in Metro Manila. 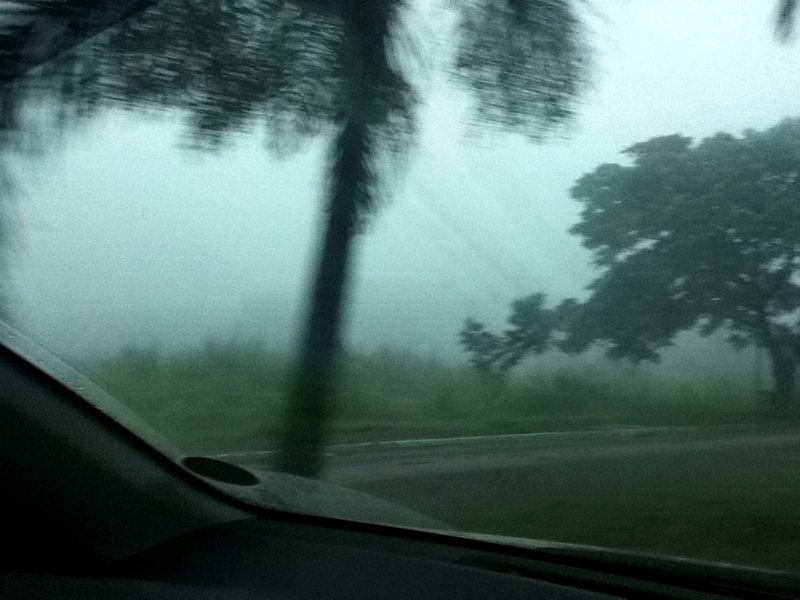 The “silent hill” ambiance is a bit scary yet makes me want to go right back at my bed and dream this day away. Non-stop rain and storm clouded us for the past weeks, and today was the first time we ever get to see the sun rise again. 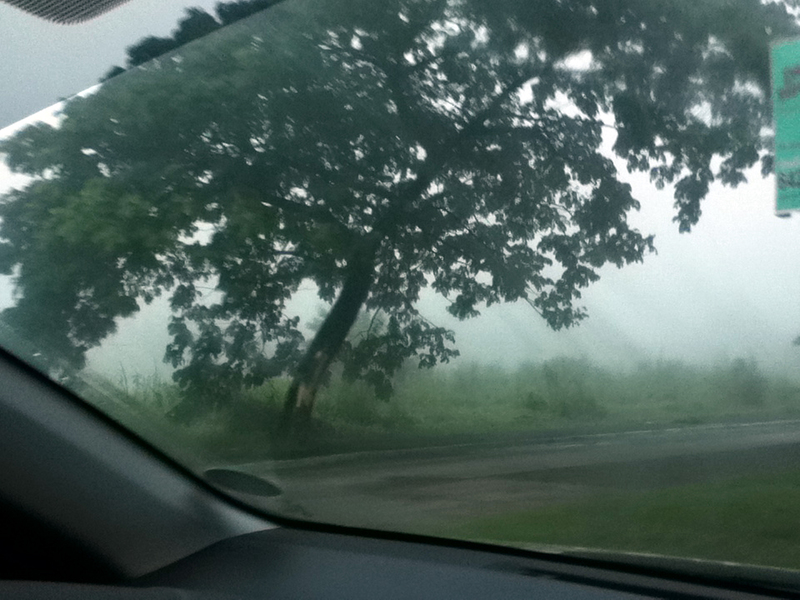 Hence, Mr. Fog visited, reminding us all that the sun will soon shine again. Turns out I’m not the only one having plane crash dreams. Hundreds of others (according to Google) have dreamt of it too. Even a close friend of mine says she’s had the same dream when she was my age, and we both arrived to the same conclusion that it only means; I have a goal I’ve been wanting to reach but I can’t or maybe afraid I might not be able to reach. And now that I am wide awake, I’m willing to take the risk and make this dream go away, with the help of my family and friends who believe in me. The crashing plane I see is nothing but a shooting star, and my wish will soon be granted; in God’s grace and time. If you haven’t noticed yet, I have an obsession for ruffles and polka-dots, and I think my mom is to blame for it. 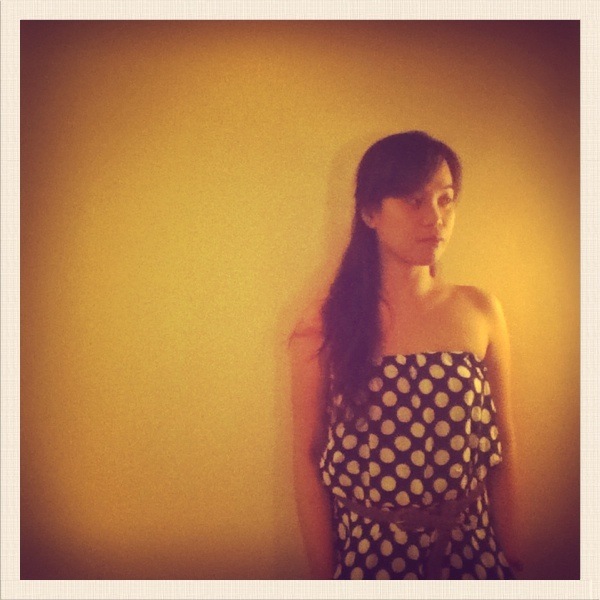 She’s one of my inspirations when it comes to fashion. 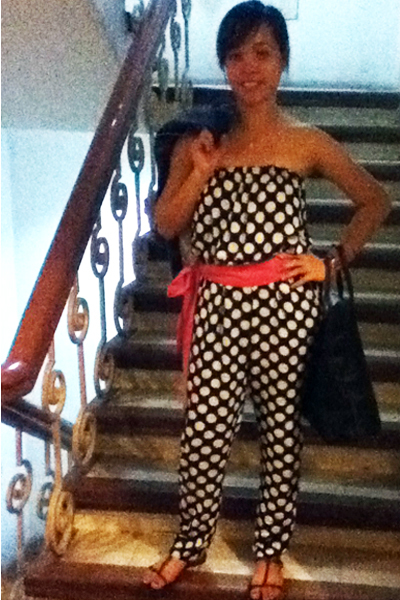 Now, I am very delighted to have a new addition to my polka-dot collection. 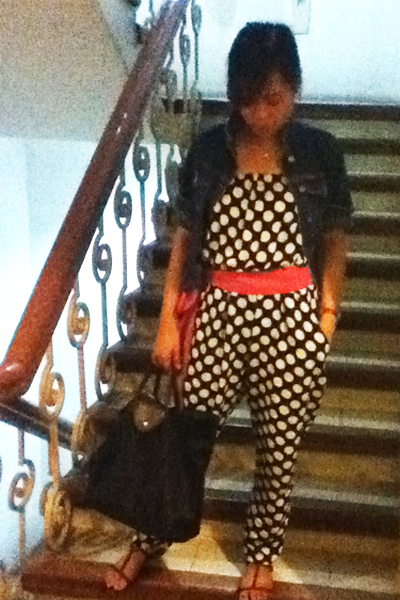 Today’s outfit, which came in last week fresh from my friend in China: a polka-dotted jumpsuit. 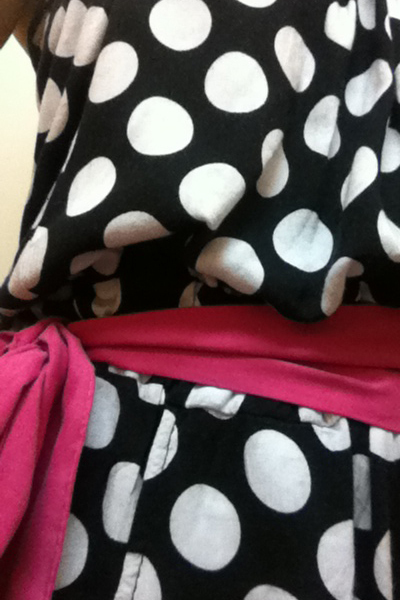 The hot pink belt which stood out from the black and white circles made the outfit complete. I paired it with a denim jacket to keep me warm under a stormy weather. After a stressful day at work, listening to a soulful jazz music not only relaxes your body, but it also calms your mind, heart and soul as well. 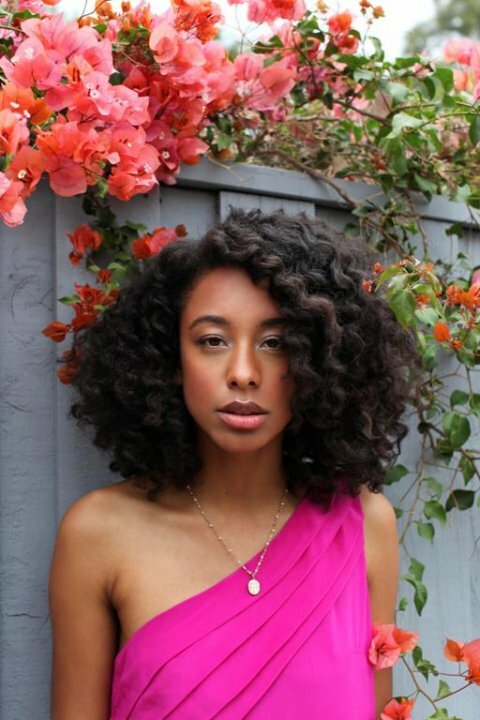 This is what Corrine Bailey Rae‘s music has done to me. Her soft, serene voice alone is music to my ears. The jazzy beats and orchestraic piano and synths made it an eargasmic tune altogether. Her “Put your Records On” single is her biggest hit to date. But a lot of other songs in this album are also favorites of mine. Like a Star, Trouble Sleeping and Enchantment, to name a few. I always carry her CD in my bag. I find it comforting that she’s there. So whenever I feel stressed or pressured at work, I just put her records on and all negative vibes are gone.